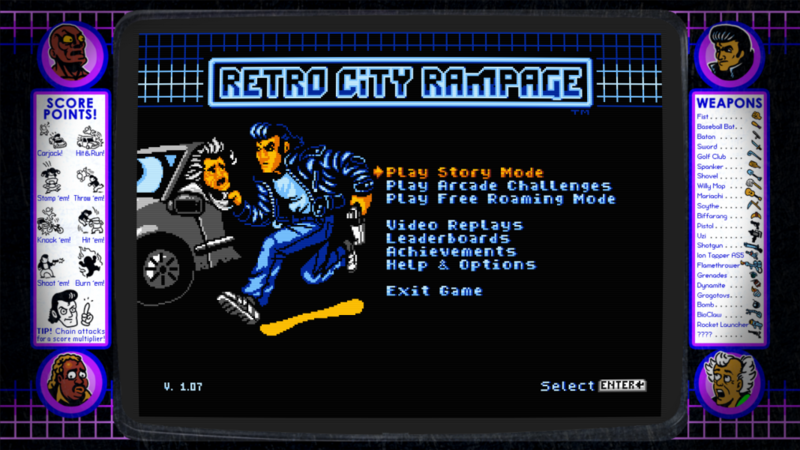 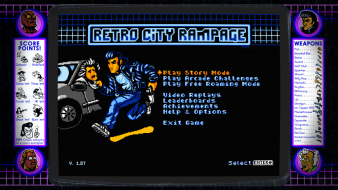 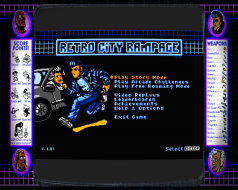 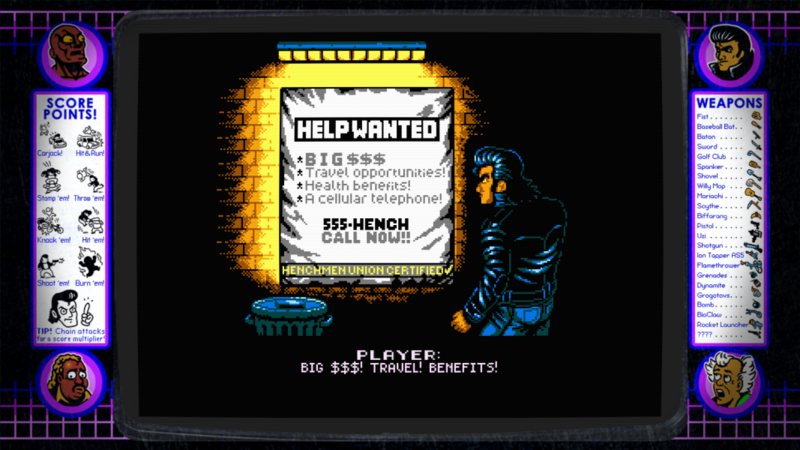 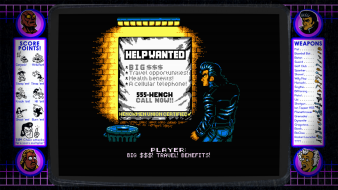 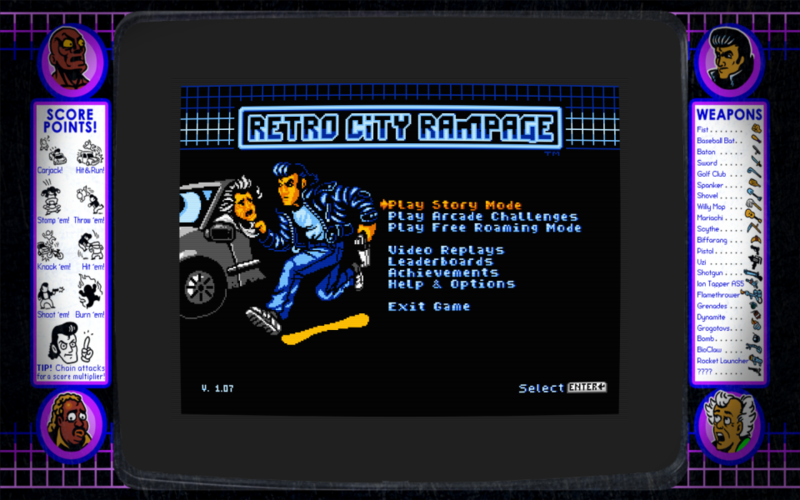 Retro City Rampage is a downloadable action-adventure video game. 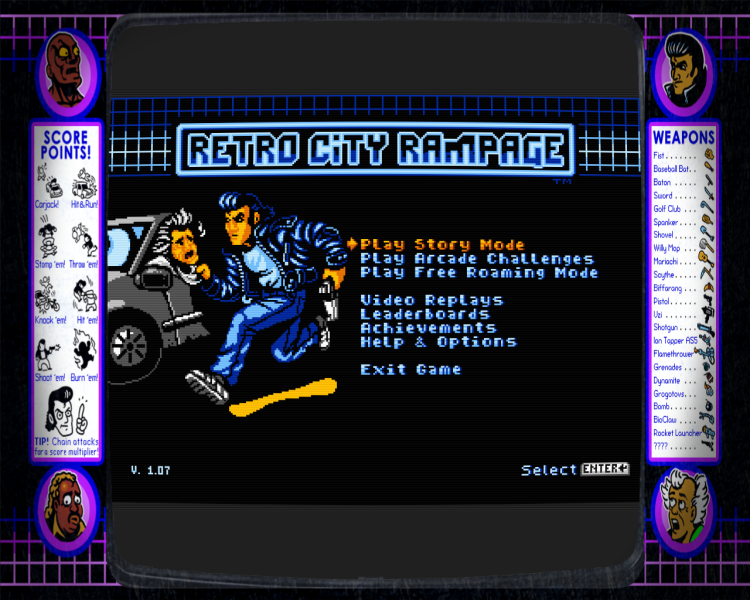 It is a parody of retro games and pop culture as well as the popular Grand Theft Auto series and the games that followed it. 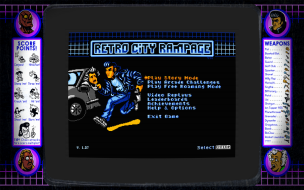 In Retro City Rampage, players take control of a henchman of a major crime syndicate known as the Jester. 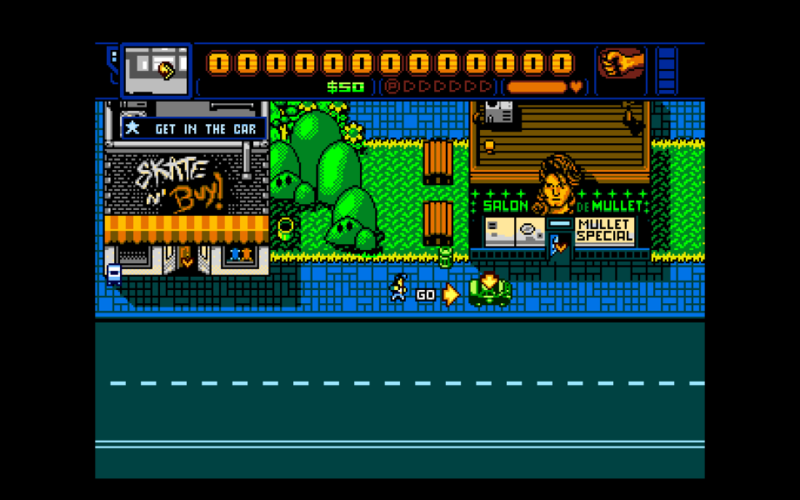 The game is inspired by Rockstar's Grand Theft Auto games, in that the player can complete a variety of missions within an enormous city that is open to explore. 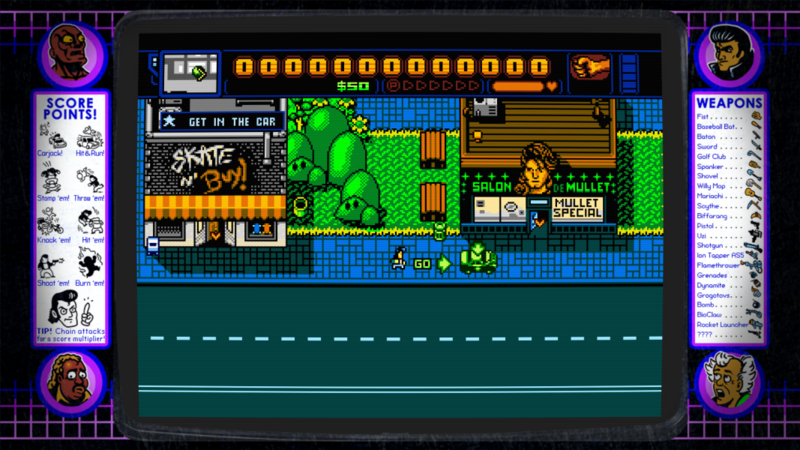 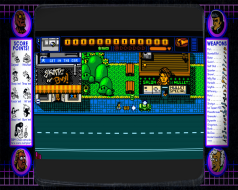 As an homage to numerous 8-bit videogames, Retro City Rampage incorporates design elements from a lot of different genres. 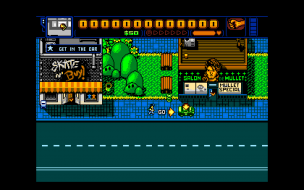 Although it is primarily played from a top-down bird's-eye viewpoint, in specific sections, it may switch to a strictly two-dimensional perspective in the style of a 2D platformer. 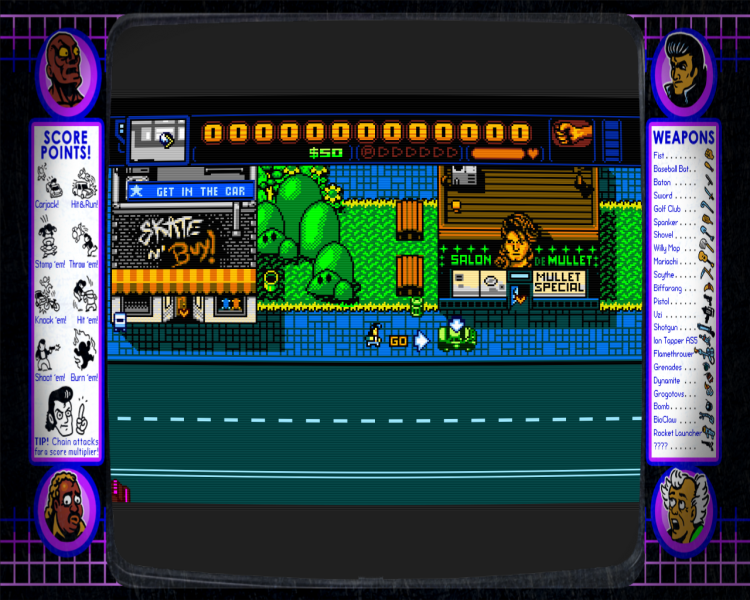 The game also features 16 graphical filters that simulate various retro computers and game consoles. 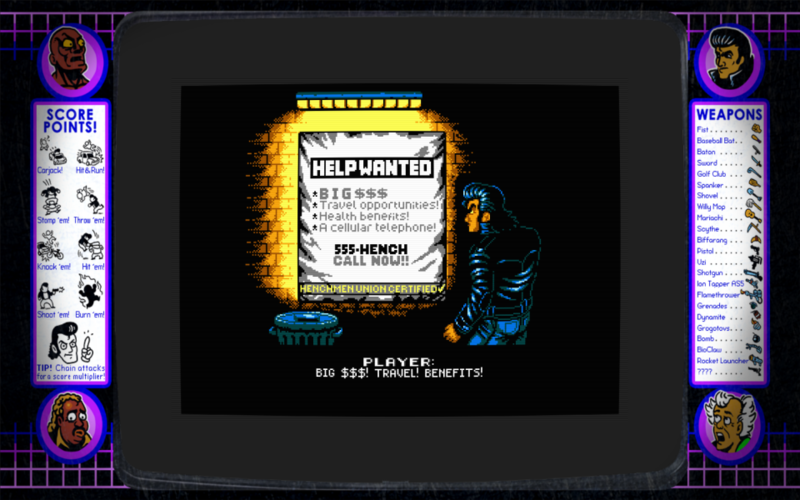 The game supports Eyefinity and Surround resolutions, but it is extremely anamorphic. 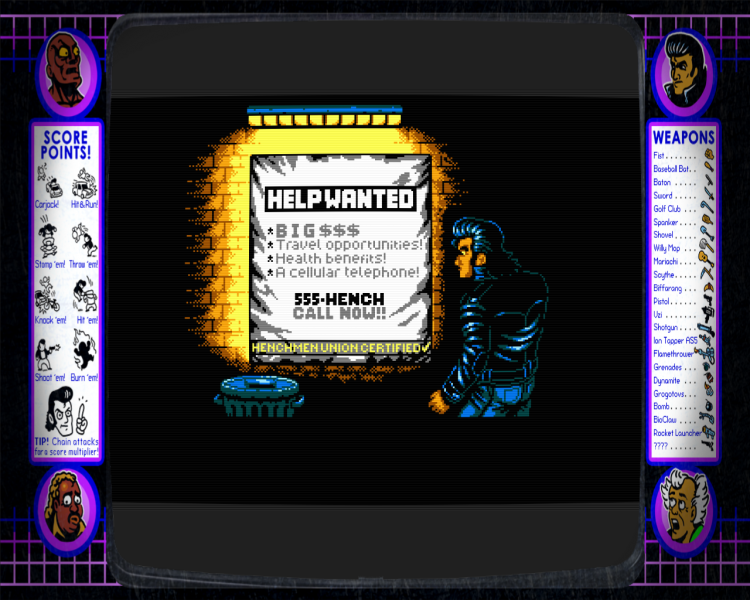 In addition, the background "cabinet" artwork stretches.